1.Log in to your account here. 2. 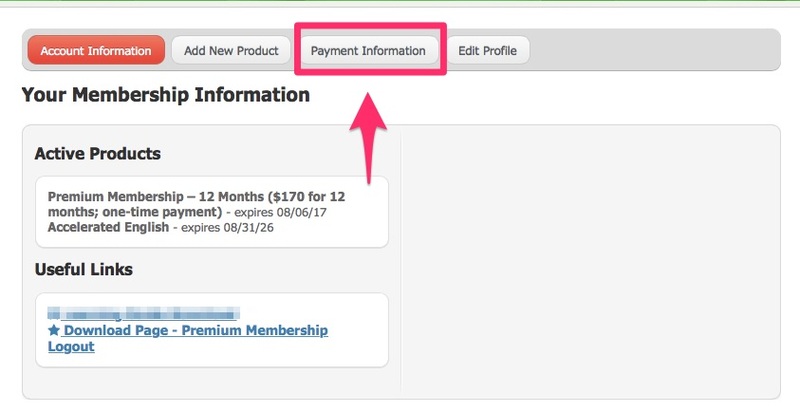 On Your Information Page, click on Payment Information. 3. Click on the "Cancel" link. 4. 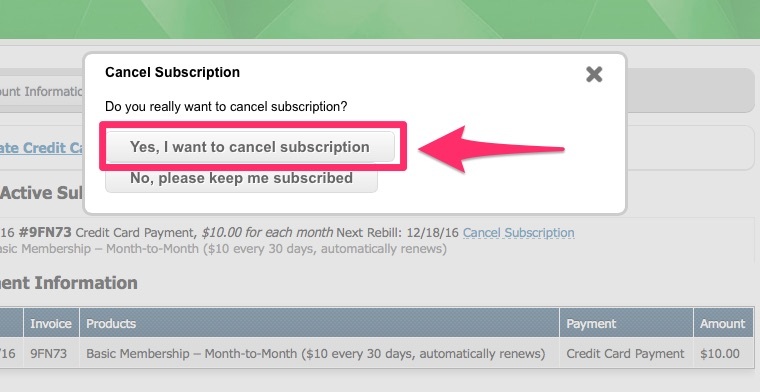 Click on the "Yes, I want to cancel subscription" button. 5. You will now see the worded "Canceled" next to your subscription. If you see an error message or are unable to cancel, please email us with your username and email address and we will help you! Watch Video or follow steps below. 1. 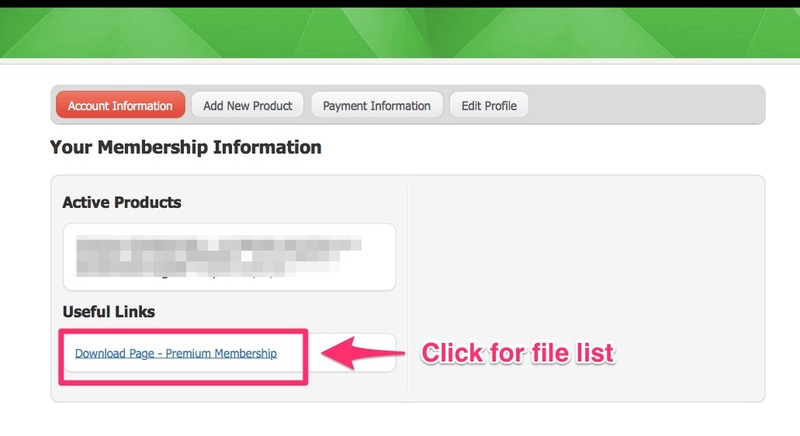 Click on Log In button on top, right of page, then click on "Basic + Premium Member login." 2. Log in with your Basic/Premium username and password. 3. Click on "Download Page" link. (a) Basic Members: CLICK to download file to your computer. File will automatically download when you click on the link or button. Note you can download ALL 12 of your episodes at once - no more waiting! 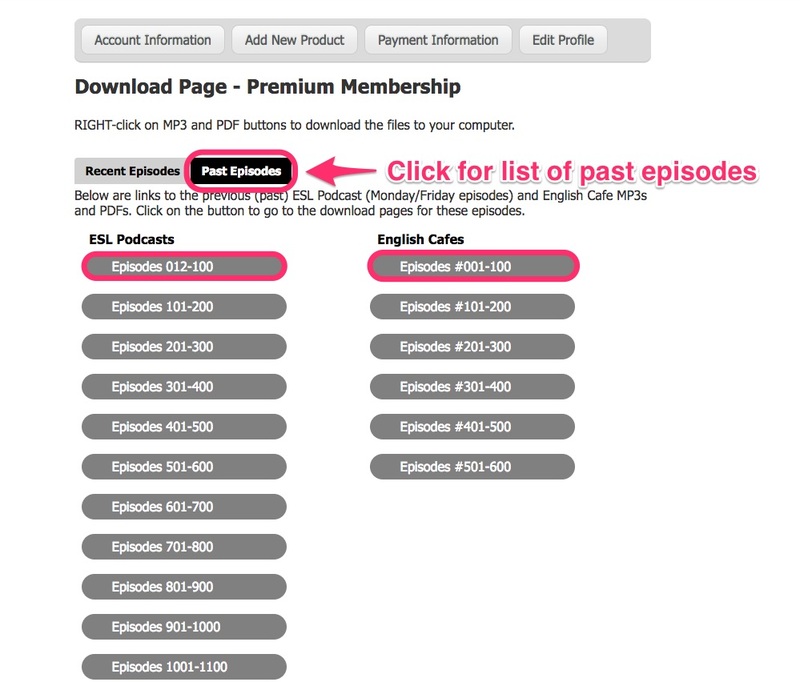 (b) Premium Members: Download recent files, or click on Past Episodes to see lists of older episodes. Need to cancel you Basic or Premium Membership or have other questions? See more information here. If I become a Select English Member, what will I have access to? The Select English Membership allows you to choose a total of 15 lessons per month. As a Select English Member, you may choose from many lessons that are not available to Premium Members. As a Select Member, you do not have access to an unlimited number of the old lessons like you do as a Premium Member. If I continue to be a Premium Member, what will I have access to? If you continue your Premium Membership, you will continue to have access to all of our lessons (after #164), just as you always have. You will download your Premium files from the same website as you have been in the past four months. Can I be both a Select English and Premium Member? Yes, you can have both memberships if you want. You would pay $10 for the Select English and $10 for the Premium - $20 per month total. Being a Select English Member and a Premium Member will give you access to all our old lessons PLUS the ability to select 15 lessons each month that are available only to Select English Members. Remember that we are NOT adding any new episodes to the Premium Membership after April 1, 2017. How do I get my lessons as a Premium Member on the new website? There is now a new way to download your Premium Membership MP3 and PDF files. You will no longer be able to download the files using iTunes or on the home page of our website. However, you can now download both the audio MP3 and PDF Learning Guides by logging in to a special, separate part of our website. Get detailed instructions by clicking above on "How to Log In and Download Basic and Premium Learning Guides." Do I need to create a new account to become a Select English Member? Yes. The Select English Membership and the Basic/Premium Memberships use two separate systems, with two separate accounts and logins. To sign up for a Select English Membership, you will need to create a new account. I’m a Select English Member. Why do I need to pay $3 for each lesson? You do NOT need to pay $3.00. If you see $3.00 in your Cart Total, you probably forgot to click the green Select English coupon. As described in the video and instructions here, after you select your lessons, you need to click the green "Select English Credits" button on the Cart page. Clicking that button will make the Total = $0.00. After you click on the green button, then click Continue to complete your checkout. Note: After you have selected and downloaded your 15 monthly lessons, your coupon will not work again until your monthly membership renews. How do I listen to lessons on my smartphone or other devices? Can I listen through iTunes? At this time, it is not possible to stream episodes from our website or download them directly into iTunes or a similar podcast application on your computer or phone. However, after you download our files, you can transfer them to a smartphone or a similar device as described below and be able to listen to them. Apple provides multilingual instructions on how to move files to an iOS device. Please use one of the links below, and note that you can see the instructions in another language by clicking on the Languages dropdown in the upper right-hand corner. Google Play Music app offers similar information with links for both Mac and Windows. You can see the instructions in another language by selecting a language from the dropdown menu at the bottom of the page. After signing up for a Select English Membership, do I need to cancel my Premium Membership? If you wish, you can keep both your Premium Membership and your new Select English Membership. If you do that, you will be paying a total of $20 each month. To cancel your Premium Membership, log in here. For detailed instructions on how to cancel your Premium Membership, see the video above under "How to Cancel Your Basic or Premium Membership" on this page. Why should I switch to the new Select English Membership? If you're a BASIC Member, the new Select Membership gives you more choice. The Select English membership allows you to pick from any of our 1,800+ lessons. You don't just have to accept the new ones we release in the next 30 days. If you are a PREMIUM member, the Select English Membership allows you to choose from nearly 200 new Learning Guides as part of your 15 monthly downloads, including the files from two of our special courses (Day in the Life of Jeff and Day in the Life of Lucy) as well as new Learning Guides from our special mystery series, Missing Person. Select English is a membership that renews automatically each month. You can choose from 1800+ “Daily English” and “Cultural English” lessons each month. You decide which lessons are best for you. You get 15 lessons a month for $15.00. You download the MP3 and PDF lessons onto your computer so you can listen to and read them on any device, anywhere. Learn more here. All of our lessons for Select English Membership, English Collections, and our Special Courses consist of MP3 and PDF files. Our Learn English TV lessons are streaming videos (Internet connection required). Sí. Las lecciones de ESLPod.com son para estudiantes intermedios y avanzados. Nuestras lecciones no están “niveladas” o en orden de dificultad, pero son apropiadas para todos los hablantes de inglés intermedios y avanzados. Puede escuchar nuestros diálogos en “velocidad de aprendizaje” (un poco más lenta y clara) y a “velocidad normal”. También tiene una transcripción completa de todas las palabras dichas en cada lección, de forma que pueda seguirlas mientras escucha o encontrar las palabras de las que no está seguro o que desea ver por escrito. Si no está seguro de que las lecciones de ESLPod.com son para usted, escuche lecciones de muestra gratuitas aquí. La Membrecía de Inglés Selecto (Select English) es una membrecía que se renueva automáticamente cada mes. Usted puede escoger de más de 1,800 lecciones de Inglés Diario (Daily English) e Inglés Cultural (Cultural English) cada mes. Usted recibirá 15 lecciones al mes por $15.00. Usted descargará las lecciones en formatos MP3 y PDF en su computadora de tal forma que podrá escucharlos y leerlos en cualquier dispositivo y en cualquier lugar. Averigüe más aquí. Colecciones de Inglés (English Collections) permite a Usted descargar solamente los conjuntos de lecciones que Usted escoja. Usted puede comprar un grupo de lecciones de Inglés Diario (Daily English) en grupos de 50 o un conjunto de lecciones de Inglés Cultural (Cultural English) en grupos de 30. Usted también puede descargar las lecciones en archivos MP3 y PDF en su computadora de tal forma que podrá escuchar y leer las lecciones en cualquier dispositivo y en cualquier lugar. Averigüe más aquí. Por cada 30 días de su membresía, Usted obtendrá un crédito de 15 lecciones. Usted podrá seleccionar y descargar sus 15 lecciones de cualquiera de nuestras más de 1,800 lecciones de Inglés Selecto (Select English) [Inglés Diario (Daily English) e Inglés Cultural (Cultural English)]. Recuerde que vuestros 15 créditos vencen en 30 días, de tal modo que asegúrese de seleccionar y descargar sus lecciones cada mes. Usted solamente puede usar sus 15 créditos de las más de 1,800 lecciones de Ingles Selecto (Select English), no para nuestras Colecciones de Ingles (English Collections) ni Cursos Especiales (Special Courses). Favor de ver nuestro video. Todos nuestros archivos para la Membrecía de Inglés Especial (Special English Membership), Colecciones de Ingles (English Collections) y Cursos Especiales (Special Courses) están en archivos MP3 y PDF que pueden ser descargados y usados donde sea. Ofrecemos la opción de descargar nuestros archivos ya sea en formato “ZIP” comprimido o individualmente. Los archivos ZIP habitualmente necesitan descargarse en una computadora portátil o computadora de escritorio y después “descomprimirse” para ser utilizados. Después de que los descargue en su computadora, entonces puede transferirlos a su dispositivo de escucha, simplemente como haría con cualquier otro archivo de audio que quisiera poner en su teléfono, tableta o reproductor MP3. Los archivos individuales MP3 no pueden ser descargados normalmente directamente desde nuestro sitio web a su teléfono, tableta, o reproductor MP3. Probablemente, necesitará una computadora para descargarlos y después transferir los archivos a su dispositivo. Le recomendamos que utilice una computadora o una tableta para leer la Guía de Aprendizaje (Learning Guide) PDF, ya que los archivos PDF son más difíciles de leer en un smartphone. Todas nuestras lecciones consisten de archivos MP3 y PDF. Una vez descargados, Usted puede escuchar los archivos de audio (MP3) de las lecciones usando una computadora, tableta, smartphone, u otro dispositivo que toca archivos MP3. Una vez descargadas, las Guías de Aprendizaje (Learning Guides) que tienen formato PDF pueden ser leídas en cualquier computadora, tableta, o smartphone que muestre archivos PDF. ¡Es fácil! Inicie su sesión y vaya la página “My Account”, haga clic en la lengüeta “My Membership”, y luego haga clic en “View” al lado de vuestra suscripción. Luego Usted verá el botón Cancelar para su suscripción. Usted puede cancelar en cualquier momento. ¡Recuerde que usted debe descargar todos sus archivos antes que su membrecía venza! Usted tiene 30 días para descargar sus archivos. Por favor, manténgalos en un lugar seguro ya que no es posible descargarlos después de 30 días. La Membrecía de Inglés Selecto (Select English) es una membrecía que se renueva automáticamente cada mes. Usted puede escoger de más de 1,800 lecciones de Inglés Diario (Daily English) e Inglés Cultural (Cultural English) cada mes. Usted recibirá 15 lecciones al mes por $14.99. Usted descargará las lecciones en archivos MP3 y PDF en su computadora de tal forma que podrá escucharlos y leerlos en cualquier dispositivo y en cualquier lugar. Averigüe más aquí. Colecciones de Inglés (English Collections) permite a Usted descargar solamente los conjuntos de lecciones que Usted escoja. Usted puede comprar un grupo de lecciones de Inglés Diario (Daily English) en grupos de 50 o un juego de lecciones de Inglés Cultural (Cultural English) en grupos de 30. Usted también puede descargar las lecciones en archivos MP3 y PDF en su computadora de tal forma que podrá escuchar y leer las lecciones en cualquier dispositivo y en cualquier lugar. Averigüe más aquí. Sim! As lições da ESLPod.com são para alunos intermediários e avançados. As nossas aulas não são "niveladas" ou tem alguma ordem de dificuldade, mas são apropriadas para todos os falantes de nível intermediário e avançado de Inglês. Você pode ouvir os nossos diálogos, tanto na "velocidade de aprendizagem" (um pouco mais lenta e mais clara) como numa "velocidade normal." Você também terá uma transcrição completa de cada palavra falada em cada lição, para que possa acompanhar enquanto você escuta ou encontrar as palavras que você não tem certeza do que são, ou pode desejar ver por escrito. Se você não tem certeza se as lições ESLPod.com são para você, ouça as lições de amostra grátis aqui. 1) Inglês Diário (Daily English) – diálogos e histórias usando termos de conversas de Inglês Americano, com explicações detalhadas sobre como usar cada uma das expressões e idiomas. Estas lições tem uma duração de 15-20 minutos cada uma. 2) Inglês Cultural (Cultural English) – contém informações que o vão ajudar a entender os Estados Unidos e a sua cultura. Aprenda Inglês enquanto aprende sobre os E.U.A. Estas lições tem uma duração de 25-30 minutos cada uma. Tópicos incluídos: Filmes Clássicos/Programas de TV, Cidades e Pontos de Referência, Presidentes, Autores, Cientistas, Músicas Famosas e Cantores, e muito mais. Select English é uma adesão renovada automaticamente a cada mês. São mais de 1800 lições de “Daily English” e “Cultural English” disponíveis . Assim, você escolhe as lições que mais lhe interessa. Serão 15 lições por mês por apenas US$15,00. Você poderá baixar o arquivo MP3 e PDF das lições em seu computador, e a seguir transferí-los para qualquer equipamento, o que permite ler e ouvir as lições em qualquer lugar. Saiba mais aqui. English Collections permite a você baixar somente um conjunto de lições a sua escolha. Você poderá adquirir um conjunto de lições do “Daily English” em grupos de 50 ou conjunto de lições do “Cultural English” em grupos de 30. Você poderá baixar os arquivos MP3 e PDF das lições em seu computador , e a seguir transferí-los para qualquer equipamento, o que permite ler e ouvir as lições em qualquer lugar. Saiba mais sobre English Collections. No período de 30 dias você adquire um crédito de 15 lições, que poderão ser selecionadas e baixadas de um arquivo contendo mais de 1800 lições entre Daily English e Cultural English. Lembre-se que o seu crédito prescreve em 30 dias. Portanto, certifique-se de escolher e baixar suas lições todo mês. Você poderá utilizar seu crédito (15 lições) somente para adquirir lições do Select English (+1800 lições), mas não do English Collections ou Special Courses. Para aprender como selecionar e baixar as suas lições assista ao nosso vídeo. Nós oferecemos a opção de fazer o download dos nossos ficheiros no format comprimido “ZIP” ou individualmente. O format ZIP normalmente precisam de ser baixados para um computador e depois devem ser descomprimidos (unzipped) para se usar os ficheiros. Após fazer o download para o seu computador, pode transferi-los para um dispositivo que você queira usar, num telemóvel, tablet, ou num tocador de MP3. Os ficheiros individuais de MP3 não podem ser baixados diretamente a partir do nosso website para o seu, telefone, tablet, ou dispositivo de MP3. Você vai necessitar de um computador para fazer o download e só depois poderá passar para os seus dispositivos. Nós recomendámos que use um computador ou um tablet para lêr o Guia de Aprendizagem (Learning Guide) PDF, pois os ficheiros PDF são mais difíceis de lêr num smartphone. Todas as nossas lições consiste de arquivos em MP3 e PDF. Após realizar o download, poderá ouvir as lições (MP3) no computador, tablet, smartfone ou qualquer equipamento que lê arquivo MP3. Os arquivos do Learning Guide (PDF) podem ser lidos em qualquer computador, tablet ou smartfone. É simples! Faça o Log in e vá para a página “My Account”, clique em “My Membership”, e a seguir clique em “View” próximo a “subscription”. Logo aparecerá o botão “Cancel” para a sua adesão. O cancelamento poderá ser realizado em qualquer época. Lembre-se de baixar todos os seus arquivos antes de prescrever a sua adesão! Você dispõe de 30 dias para fazê-lo. Por favor, mantenha-os em local seguro, uma vez que não será possível baixa-los novamente após o período de 30 dias. Select English é uma adesão renovada automaticamente a cada mês. São mais de 1800 lições de “Daily English” e “Cultural English” disponíveis . Assim, você escolhe as lições que mais lhe interessa. Serão 15 lições por mês por apenas US$14,99. Você poderá baixar o arquivo MP3 e PDF das lições em seu computador, e a seguir transferí-los para qualquer equipamento, o que permite ler e ouvir as lições em qualquer lugar. Saiba mais aqui. Se você deseja escolher somente determinados tópicos, sugerimos aderir ao nosso Select English Membership, o qual permite acessar a nossa Biblioteca para selecionar lições específicas . ESLPod.com utilise une approche très différente d'autres cours ou des sites Web. Notre méthode est basée sur le fait - supporté par plus de 40 ans de recherches scientifiques- que la façon la plus rapide d'améliorer votre anglais est d'écouter des conversations et des discussions que vous pouvez comprendre. Beaucoup de personnes essayent d'améliorer leur anglais en écoutant ou lisant des choses en anglais qui sont trop difficiles. Ils comprennent seulement 40-50 %, qui signifient qu'ils gaspillent la moitié de leur temps! On fournit nos cours d'anglais à une vitesse plus lente et inclut des phrases quotidiennes utiles et des expressions. Nous expliquons ce que ces expressions signifient et comment les utiliser d'une façon simple et claire. Cette approche basée sur la recherche est la meilleure façon d'améliorer votre anglais rapidement pour que vous pouvez parler cela facilement et avec assurance. ESLPod.com a été initié par une équipe des deuxièmes professeurs de la langue anglaise expérimenté avec plus de 30 ans d’expérience d’enseignement ESL de lycée, adulte et université. Les fondateurs d'ESLPod.com, Docteur Jeff McQuillan et Docteur Lucy Tse, sont des experts reconnus dans le domaine de l'apprentissage des langues. Ils ont publié des livres basés sur la recherche aussi bien que des douzaines d'articles de recherches scientifiques dans la linguistique et l'apprentissage des langues et ont apparu comme des experts dans les médias, y compris CNN, Los Angeles Times et San Francisco la Chronique, parmi beaucoup d'autres. Bien sur! Les leçons de ESLPod.com sont pour des apprenants intermédiaires et avancés. Nos leçons ne sont pas "nivelées" ou de l'ordre de la difficulté, mais ils sont appropriés à tous les orateurs intermédiaires et avancés d'anglais. Vous pouvez écouter nos dialogues soit à une "vitesse d'apprentissage" (un peu plus lentement et plus clair) ou une vitesse normale." Vous aurez aussi une transcription complète de chaque mot parlé dans chaque leçon, donc vous pouvez suivre le long comme vous écoutez ou trouvez les mots que vous n’êtes pas sûr au sujet ou souhaitez connaître par écrit. Si vous n’êtes pas sûr si les leçons de ESLPod.com sont pour vous, écouter gratuitement des leçons d’échantillon ici. 1) "L'Anglais Quotidien" (Daily English) - des dialogues et des histoires utilisant l'anglais américain conversationnel, avec les explications détaillées de la façon d'utiliser chacune des expressions et des idiomes clés. Ces leçons sont 15-20 minutes chacune. 2) "L'anglais Culturel" (Cultural English) - contient des informations pour vous aider à comprendre les États-Unis et la culture américaine. Apprenez l'anglais la même manière donc vous apprenez des États-Unis. Ces leçons sont 25-30 minutes chacune. English Collections allows you to download only those sets of lessons you choose. You can purchase a set of “Daily English” lessons in groups of 50 or a set of “Cultural English” lessons in groups of 30. You can download the MP3 and PDF lessons onto your computer so you can listen to and read on any device, anywhere. Learn more about English Collections. Would you help us translate this question and answer? Nous offrons l'option pour télécharger nos fichiers dans le format compressé "ZIP" ou individuellement. Les fichiers ZIP doivent normalement être téléchargés sur un ordinateur portable ou un ordinateur de bureau et "ouverts ensuite la fermeture éclair" pour utiliser les fichiers. Après que vous les téléchargez sur votre ordinateur, vous pouvez alors les transférer à votre appareil d'écoute, comme vous ferez pour d'autres fichiers audio que vous voulez transférer dans votre téléphone, tablette, ou le lecteur MP3. Les fichiers d'individus MP3 ne peuvent pas normalement être téléchargés directement de notre site Web à votre téléphone, tablette, ou le lecteur MP3. Très probablement, vous aurez besoin d'un ordinateur pour les télécharger et transférer ensuite les fichiers à votre appareil. Nous recommandons que vous utilisiez un ordinateur ou une tablette pour lire le Guide d'Apprentissage (Learning Guide) PDF, puisque des fichiers PDF sont plus difficile pour lire sur un smartphone. All of our lessons consist of MP3 and PDF files. Once downloaded, you can listen to the audio (MP3) lessons using any computer, tablet, smartphone, or music player that plays MP3 files. Once downloaded, Learning Guides (PDF) can be read on any computer, tablet, or smartphone that displays PDF files. Would you help us translate this question and answer? It’s easy! Log in and go to the “My Account” page, click on the “My Membership” tab, and then click “View” next to your subscription. Then you will see the Cancel button for your subscription. You can cancel anytime. Remember that you must download all of your files before your membership expires! You have 30 days to download your files. Please keep them in a safe place as it is not possible to download them after 30 days. Would you help us translate this question and answer? You may cancel anytime and you will not be charged again for the next month (30 days). However, you will not receive a partial refund for the remainder of the current 30 days on your membership. Would you help us translate this question and answer? Yes! You can be a Select English member and buy sets of English Collection lessons. Choose one or both options – whichever is most convenient for you. Would you help us translate this question and answer? ESLPod.com utilizza un approccio molto diverso da altri siti web di corsi online. Il nostro metodo si basa sul fatto - sostenuta da più di 40 anni di ricerca scientifica - che il modo più veloce per migliorare il vostro inglese è quello che ascoltando conversazioni e discussioni si possa apprendere. Molte persone cercano di migliorare il loro inglese ascoltando o leggendo le cose in inglese che sono troppo difficili. Capiscono solo il 40-50%, che significa che stanno perdendo la metà del loro tempo! Le nostre lezioni di inglese sono previsti ad una velocità più lenta e includono frasi ed utili espressioni di tutti i giorni. Spieghiamo cosa le espressioni significano e come utilizzarle in modo semplice e chiaro. Questo approccio è basato sulla ricerca ed è il modo migliore per migliorare rapidamente il proprio inglese in modo da poter parlare facilmente e con fiducia. ESLPod.com è stato sviluppato da un team di esperti di inglese come seconda lingua professori con oltre 30 anni di liceo, per adulti, e l'esperienza universitaria di insegnamento a livello ESL. I fondatori di ESLPod.com, Dr. Jeff McQuillan e il Dr. Lucy Tse, sono esperti nel campo dell'apprendimento delle lingue. Essi hanno pubblicato libri basati sulla ricerca, nonché decine di articoli di ricerca scientifica in materia di apprendimento linguistico e la lingua, e sono apparso come esperti nei media, tra cui CNN, Los Angeles Times e San Francisco Chronicle, e molti altri. Sì! Lezioni ESLPod.com sono per studenti intermedi e avanzati. Le nostre lezioni non vengono "livellate" o in ordine di difficoltà, sono destinate per essere appropriate per tutti gli studenti intermedi ed avanzati di inglese. È possibile ascoltare i nostri dialoghi, sia a una "velocità di apprendimento" (un po 'più lento e più chiara) che ad una "velocità normale". Avrete anche una trascrizione completa di ogni parola pronunciata in ogni lezione, in modo da poter seguire mentre si ascolta e trovare le parole che non si è sicuri o che si vuole vedere per iscritto. Se non siete sicuri se le lezioni ESLPod.com siano per voi, ascoltate qui degli gratuiti esempi di lezioni. 1) "Inglese del Giorno" (Daily English) - dialoghi e storie utilizzando conversazioni in inglese americano, con spiegazioni dettagliate su come utilizzare Ognuna delle espressioni chiave e idiomi. Queste lezioni sono di circa 15-20 minuti ciascuna. 2) "Inglese Culturale" (Cultural English) - contiene le informazioni per aiutarvi a capire gli Stati Uniti e la cultura americana. Impara l'inglese mentre si impara a conoscere gli Stati Uniti Queste lezioni sono di circa 25-30 minuti ciascuna. “Select English” è un abbonamento che si rinnova automaticamente ogni mese. Puoi scegliere ogni mese fra più di 1800 lezioni di “Daily English” (inglese di ogni giorno) e di “Cultural English” (inglese culturale). Sei tu a decidere quali lezioni sono le migliori per te. Puoi scegliere 15 lezioni al mese per 15.00 dollari. Scarichi le lezioni in formato MP3 e PDF sul tuo computer in modo da poterle ascoltare e leggere su ogni strumento, dovunque tu sia. Per saperne di più, qui. “English Collections” ti consente, invece, di scaricare soltanto assortimenti di lezioni a tua scelta. Puoi acquistare un assortimento di lezioni di “Daily English” (inglese di ogni giorno) in gruppi di cinquanta o un assortimento di lezioni di “Cultural English” (inglese culturale) in gruppi di trenta. Scarichi le lezioni in formato MP3 e PDF sul tuo computer in modo da poterle ascoltare e leggere su ogni strumento, dovunque tu sia. Per saperne di più su “English Collection." Per ogni 30 giorni di abbonamento, ricevi un credito per 15 lezioni. Puoi scegliere e scaricare 15 lezioni da più di 1800 lezioni di “Select English”, cioè di “Daily English” (inglese di ogni giorno) e di “Cultural English” (inglese culturale). Ricorda che il tuo credito per 15 lezioni dura 30 giorni e assicurati, perciò, di scegliere e scaricare le tue lezioni ogni mese. Puoi usare il tuo credito per 15 lezioni unicamente per le più di 1800 lezioni di “Select English” e non per le nostre “English Collections” o i nostri “Special Courses”. Per capire come scegliere e scaricare le lezioni, guarda il nostro video. Offriamo la possibilità di scaricare i nostri file in diversi formati file compresso "ZIP" o individualmente. I file ZIP normalmente devono essere scaricati su un computer portatile o desktop e poi "decompressi" per utilizzare i file. Dopo averli scaricati sul vostro computer, è possibile trasferirli poi al dispositivo di ascolto, proprio come si farebbe con qualsiasi altro file audio che si desidera mettere sul vostro telefono, tablet o lettore MP3. I file MP3 individuali non possono essere scaricati normalmente direttamente dal nostro sito web dal telefono, tablet o lettore MP3. Molto probabilmente, avrete bisogno di un computer per scaricarli e poi trasferire i file sul dispositivo. Si consiglia di utilizzare un computer o un tablet sia per leggere il file PDF con la Guida di Apprendimento (Learning Guide), dal momento che i file PDF sono più difficili da leggere su uno smartphone. Tutte le nostre lezioni si compongono di file MP3 e PDF. Una volta scaricate, è possibile ascoltare le lezioni audio (MP3) utilizzando qualsiasi computer, tablet, smartphone o lettore di musica che riproduca file MP3. Le guide all’apprendimento (PDF) - o “learning guides” - possono essere lette, una volta scaricate, su qualsiasi computer, tablet o smartphone che legga file PDF. E’ facile! Accedi tramite il “log in” e vai sulla pagina “My Account”, clicca sul tasto “My Membership” e, quindi, clicca su “View” accanto alla tua iscrizione. A questo punto vedrai il tasto “Cancel” per la tua iscrizione. Puoi cancellarti in qualsiasi momento. Ricordati che devi scaricare tutti i tuoi file prima che il tuo abbonamento sia cancellato. Hai 30 giorni per scaricare i file. Ti preghiamo di conservare i file in un posto sicuro poiché non è possibile scaricarli una volta che sono passati 30 giorni. “Select English” è un abbonamento che si rinnova automaticamente ogni mese. Puoi scegliere ogni mese fra più di 1800 lezioni di “Daily English” (inglese di ogni giorno) e di “Cultural English” (inglese culturale). Sei tu a decidere quali lezioni sono le migliori per te. Puoi scegliere 15 lezioni al mese per 14.99 dollari. Scarichi le lezioni in formato MP3 e PDF sul tuo computer in modo da poterle ascoltare e leggere su ogni strumento, dovunque tu sia. Per saperne di più, qui. “English Collections” ti consente, invece, di scaricare soltanto assortimenti di lezioni a tua scelta. Puoi acquistare un assortimento di lezioni di “Daily English” (inglese di ogni giorno) in gruppi di cinquanta o un assortimento di lezioni di “Cultural English” (inglese culturale) in gruppi di trenta. Scarichi le lezioni in formato MP3 e PDF sul tuo computer in modo da poterle ascoltare e leggere su ogni strumento, dovunque tu sia. Per saperne di più su “English Collection”. ESLPod.com bietet einen ganz anderen Ansatz als übliche Kurse oder Webseiten. Unsere Methode beruht auf der wissenschaftlichen Erkenntnis, dass man am besten Englisch lernt, wenn man Konversationen und Diskussionen zuhört, die man bereits verstehen kann. Viele Menschen versuchen, ihr Englisch dadurch zu verbessern, dass sie zu schwierige Texten hören oder lesen. Sie verstehen nur 40-50% - und verschwenden damit die Hälfte ihrer Zeit. Unsere Lektionen werden in langsameren Tempo präsentiert und enthalten alltägliche Sätze und Ausdrücke. Wir erklären die Bedeutung und gebrauchen die Ausdrücke in einfachen, klaren Zusammenhängen. Diese wissenschaftsbasierte Technik ist der beste Weg, sein Englisch schnell zu verbessern und leicht und sicher zu sprechen. ESLPod.com wurde von einem Team erfahrener Englischlehrer (für die Zweite Fremdsprache) mit über 30 Jahren Erfahrung in High School-, Erwachsenenbildung und Universitätausbildung entwickelt. ESLPod.com – Gründer Dr. Jeff McQuillan und Dr. Lucy Tse sind anerkannte Experten auf dem Gebiet des Sprachenlernens. Sie haben wissenschaftliche Bücher und mehr als ein Dutzend Artikel in Fachzeitschriften publiziert und werden als Experten von Medien wie CNN, der Los Angeles Times, dem San Francisco Chronicle und anderen regelmäßig eingeladen, um ihr Wissen zu teilen. Ja! ESLPod.com-Lektionen sind für mittlere und fortgeschrittene Lerner konzipiert. Unsere Lektionen sind nicht nach Leveln unterteilt oder zunehmend schwerer in ihrer Reihenfolge, sondern als Allroundtraining für fortgeschrittene Englischlernende geeignet. Sie können unsere Dialoge in “Lerngeschwindigkeit“ (ein wenig langsamer und klarer) oder in „Normalgeschwindigkeit“ anhören. Zudem erhalten Sie ein komplettes Transkript jeder Lektion, so dass Sie unbekannte Vokabeln nachschauen und sich das geschriebene Wort einprägen können. Wenn Sie nicht sicher sind, ob die ESLPod.com-Lektionen passend für Sie sind, können Sie hier freie Beispiellektionen anhören. 1) “Alltagsenglisch (Daily English)” – Dialoge und Geschichten, die amerikanisches Konversationsenglisch verwenden, mit detaillierten Erklärungen, wie jeder Ausdruck und jedes Idiom verwendet werden. Dauer pro Lektion: 15-20 Minuten. 2) “Kulturelles Englisch (Cultural English)” – enthält Informationen, die Ihnen helfen, die Vereinigten Staaten und die amerikanische Kultur zu verstehen. Englisch lernen wie in den USA. Diese Lektionen dauern jeweils 25-30 Minuten. Themen: Klassisches Kino/ TV Shows, Städte und Denkmäler, Präsidenten, Autoren, Wissenschaftler, berühmte Musikstücke und Künstler und vieles mehr. Wir bieten Ihnen Ihre Dateien für den direkten Download und alternativ als .zip-komprimierte Version an. Zip-Dateien werden normalerweise auf einen Laptop oder PC heruntergeladen und entpackt. Nachdem Sie die Dateien auf Ihren Computer heruntergeladen haben, können Sie sie weiter auf Ihr Lesegerät / Abspielgerät, auf Ihr Smartphone, Tablet oder auf Ihren MP3 Player kopieren. Einzelne MP3-Dateien können normalerweise nicht direkt von unserer Website auf ihr Smartphone, Tablet oder Ihren MP3-Abspieler heruntergeladen werden. Sie benötigen hierfür einen Computer, von dem aus Sie die Dateien auf Ihr Abspielgerät kopieren können. Wir empfehlen Ihnen hier den Gebrauch des Computers oder Tablets, um die Textlektionen (PDF) zu lesen, da Sie auf einem Smartphone schwerer zu lesen sind. ESLPod.com использует совершенно иной подход к обучению, который отличается от методик других курсов и веб-сайтов. Наш метод основан на научном факте, подтвержденном более чем 40 годами исследований, который заключается в том, что самым быстрым способом развития навыков владения английским языком, является прослушивание бесед и разговоров, которые вы можете понять. Многие люди пытаются улучшить свой английский язык, прослушивая или читая слишком сложные материалы на английском языке. Они понимают лишь 40-50% информации, и, по сути, теряют половину затраченного времени. Наши уроки английского языка проходят в достаточно медленном темпе и включают в себя полезные фразы и выражения для повседневного использования. Мы объясняем значение каждой из фраз и рассказываем о правилах их использования в простой и понятной форме. Подобный исследовательский подход является лучшим способом быстрого улучшения навыков владения английским языком, позволяя вам разговаривать на иностранном языке уверенно и непринужденно. Развитием проекта ESLPod.com занималась команда опытных преподавателей «английского языка, как второго», обладающая более чем 30-летним опытом преподавания в высших школах, университетах и проведения уроков для взрослых учеников. Основатели ESLPod.com, доктор Джефф МакКиллан и доктор Люси Тсе являются признанными экспертами в области изучения иностранных языков. Ими было написано и издано большое количество литературы, основанной на проведенных исследованиях, а также десятки научно-исследовательских статей в области лингвистики и изучения языков. Они также выступали в качестве приглашенных экспертов в ряде СМИ, среди которых CNN, Los Angeles Times, и San Francisco Chronicle, а также в ряде других изданий. Конечно! Уроки от ESLPod.com подходят для учеников, владеющих английским языком на среднем или продвинутом уровне. Наши уроки не разделены на уровни сложности или этапы, однако они предназначены для людей, владеющих английским языком на среднем или продвинутом уровне. Вы можете прослушивать диалоги как на «скорости для обучения» (более спокойный и четкий темп), так и на «нормальной скорости». Кроме того, в вашем распоряжении будет полная расшифровка каждого отдельного слова, позволяющая следовать за героями беседы и проверять те слова, в которых вы не полностью уверены или хотите уточнить правильность написания. Если вы не уверены в том, подходят ли уроки от ESLPod.com именно вам, вы можете прослушать бесплатные пробные уроки, перейдя по этой ссылке. 1) «Английский на каждый день (Daily English)», включающие диалоги и истории на разговорном американском английском, с подробным описанием правил использования ключевых выражений и идиом. Каждое из таких уроков длится около 15-20 минут. Темы уроков: бизнес, путешествия и транспорт, повседневная деятельность, медицина и здоровье, отношения, покупки и шопинг, еда и рестораны, а также развлечения. 2) «Английский в культуре (Cultural English)» - содержат информацию, которая поможет вам понять культуру Соединенных Штатов, а также американскую культуру в целом. Изучайте английский язык, постигая культуру США. Каждое из таких уроков длится около 25-30 минут. Темы уроков: классическое кино и телешоу, города и достопримечательности, президенты, авторы и ученые, известные песни и исполнители, а также многое-многое другое. Мы предлагаем своим клиентам загрузку файлов как единым архивом в формате .zip, так и каждого файла отдельно. Файлы в формате .zip обычно загружаются на ноутбук или персональный компьютер, где пользователь разархивирует их для последующего использования. После скачивания файлов на свой компьютер вы сможете легко и быстро скопировать их на ваше устройство для прослушивания, точно также, как вы переносите любые другие аудио-файлы на свой телефон, планшет или MP3-плеер. Обычно, отдельные MP3-файлы невозможно скачать напрямую в ваш планшет, телефон или MP3-плеер. Скорее всего, вам потребуется компьютер для загрузки и копирования файлов на ваше устройство. Для чтения учебного пособия в формате PDF мы рекомендуем использовать персональный компьютер или планшет. Чтение PDF-файлов на вашем смартфоне может быть весьма некомфортно и затруднительно. ESLPod.com은 30년 이상의 고등학교, 성인학교, 대학 ESL (English as a second language: 제2언어로서의 영어) 교육경험을 가진 경험이 풍부한 ESL 교수들로 구성된 팀에 의해 개발되었습니다. ESLPod.com의 창시자인 제프 맥 퀼란 (Jeff McQuillan) 박사와 루시 쩌 (Lucy Tse) 박사는 언어학습분야의 전문가로 인정받고 있습니다. 그들은 언어학 및 언어학습과 관련한 수십 건의 과학연구논문과 연구관련 도서들을 내놓았으며 CNN, 로스앤젤레스 타임스, 샌프란시스코 크로니클 등의 미디어전문가로 활약하고 있습니다. Select English 는 매월 자동 갱신되는 회원자격입니다. 매월 1800개 이상의 일일영어(Daily English) 와 문화영어(Cultural English) 중에서 선택할 수 있습니다. 가장 좋은 강의를 여러분이 정하세요. 1달에 15.00달러로 15개의 강의를 갖게 됩니다. 컴퓨터에 MP3 와 PDF 강의를 다운로드해서 어디서나 어떤 장치로라도 듣고 읽을 수 있습니다. 자세한 내용은 여기를 누르세요. English Collections는 강의세트 중에서 여러분이 선택하여 다운로드합니다. 50개 그룹의 일일영어(Daily English) 중에서 한 세트를 또는 30개 그룹의 문화영어(Cultural English) 중에서 한 세트를 구매합니다. 여러분의 컴퓨터에 MP3 와 PDF 강의를 다운로드하여, 어떤 장치로든, 어디서라도 듣고 읽을 수 있습니다. English Collection에 대한 자세한 내용을 알아보세요. 여러분은 회원자격으로 30일 동안 15개의 강의를 가질 수 있습니다. 1800개 이상의 Select English 강의(일일영어와 문화영어) 중에서 15개의 강의를 선택하여 다운로드합니다. 30일이 지나면 자격이 끝나니, 매월 15개의 강의를 선택하여 다운로드 하는 것을 기억해주세요. 1800개이상의 Select English 강의에서만 15개를 고를 수 있으며 English Collections 또는 Special Courses. 에서는 사용하지 못합니다. 여러분이 강의를 선택하고 다운로드 하는 방법은 , 우리 비디오를 보세요. ESLPOD.com 의 강의를 들을 수 있는 장치는? 모든 강의는 MP3 와 PDF 파일로 구성됩니다. 오디오강의(MP3)를 다운로드하여 컴퓨터, 태블릿, 스마트폰, 또는 MP3파일 재생기 등을 이용해 바로 들을 수 있습니다. 학습안내서(PDF)를 다운로드하여, 컴퓨터, 태블릿, 또는 PDF파일을 볼 수 있는 스마트폰으로 바로 읽을 수 있습니다. 쉽습니다! 로그인 하시고 “나의 계정”(My Account) 페이지에서 “나의 회원자격”(My Membership) 버튼을 클릭하세요, 그리고 가입란(your subscription) 옆에 “보기”(View)를 클릭하세요. 가입 취소 버튼 (Cancel)이 보입니다. 언제라도 취소할 수 있어요. 회원자격이 끝나기 전에 파일을 모두 다운로드 하는 것을 잊지 마세요. 여러분의 파일은 30일 동안 다운로드 할 수 있습니다. 30일 이후에는 다운로드 하지 못하니 파일을 안전한 곳으로 옮겨 보관하세요. Select English 회원이면서 English Collection set 도 살 수 있나요? 네! Select English 회원이면서 동시에 English Colllection set 도 구매할 수 있습니다. 한가지 또는 양쪽 모두를 선택하세요- 여러분이 가장 편하신 쪽으로요. Select English 는 매월 자동 갱신되는 회원자격입니다. 매월 1800개 이상의 일일영어(Daily English) 와 문화영어(Cultural English) 중에서 선택할 수 있습니다. 가장 좋은 강의를 여러분이 정하세요. 1달에 14.99달러로 15개의 강의를 갖게 됩니다. 컴퓨터에 MP3 와 PDF 강의를 다운로드해서 어디서나 어떤 장치로라도 듣고 읽을 수 있습니다. 자세한 내용은 여기를 누르세요. 한가지 주제만 필요하시다면 Select English Membership을 등록하시고 강의도서관(Lesson Library)에서 필요한 강의를 선택하세요. Select English會員 和 English Collections到底有什麼不同呢? English Collections 只能允許你下載你所選擇的一套課程。你可以購買一套包含50個“Daily English”的課程或一套包含30個“Cultural English”的課程。這樣你可以在任何設備，任何地方試聽並且閱讀這些課程。想了解更多，請點擊English Collections. Select English会员 和 English Collections到底有什么不同呢? English Collections 只能允许你下载你所选择的一套课程。你可以购买一套包含50个 “Daily English” 的课程或一套包含30个 “Cultural English” 的课程。这样你可以在任何设备，任何地方试听并且阅读这些课程。想了解更多，请点击English Collections.